On Thursday, June 22nd, Transportation Alternatives launched the Streetopia campaign to generate excitement around ideas and visions to further transform NYC’s streets to prioritize the movement of people and not cars. Street Plans came up with detailed visions for what car-free or car-lite neighborhood streets could look like in NYC. 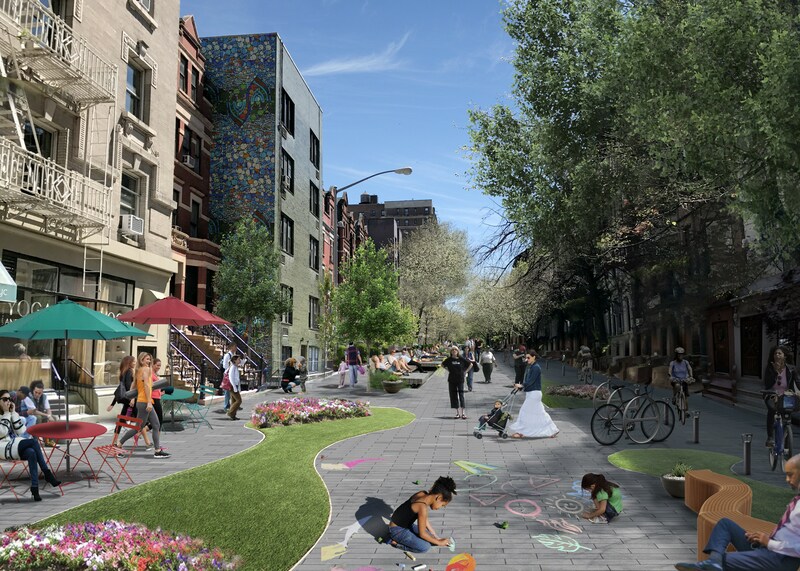 The picture above shows a vision for a car-free neighborhood street in the Upper West Side. Click HERE for the full Streetsblog article describing the Streetopia event. Street Plans is currently booking Public Work(s)hops for fall 2017 and winter 2018. The new Public Work(s)hops series is the next phase of the Tactical Urbanist’s Guide to Materials and Design workshop effort that took place in fall 2016 and winter 2017. The City of Fayetteville, AR built and studied the impact of a pilot roundabout, and has since developed a Community-Led Tactical Urbanism program. 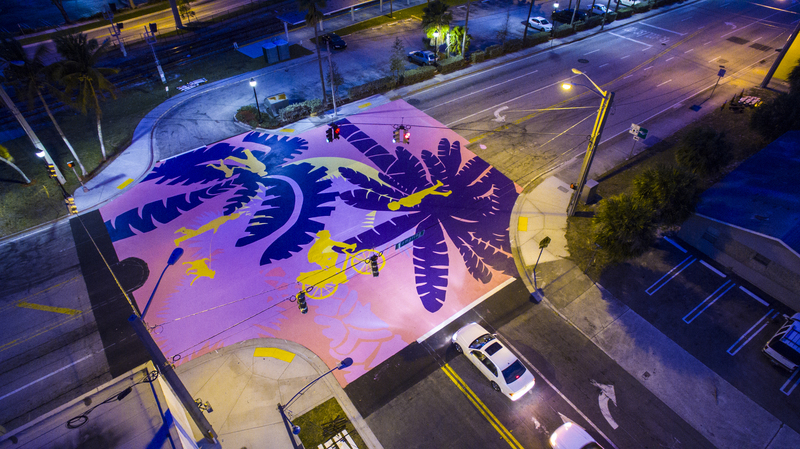 The City of West Palm Beach painted a giant intersection mural with local high school students. The City of Long Beach tested a ‘streetlet’ to bring public space to an undeserved area of the city. Phase 2 of the series will pair Street Plans with well-matched government agencies, community groups, and non-profit organizations. While the project types will vary, the goal of each workshop is to develop specific action plans leading to the quick realization of a demonstration, pilot, or interim design project that may be delivered in 2018. While there is no longer foundation funding associated with this series, cities are encouraged to contact us to discuss their project goals, desired timeline, and the funding they have available for the workshop and project delivery. Note, each workshop will require the participation of public works officials and other city agencies; political leaders; the business community; community members and advocacy groups. We’ve found that this approach helps generate more successful short-term projects that open the pathway for long-term transformation. ➜ Able to designate at least one workshop coordinator who will take ownership of co-organizing the workshop. This role involves providing our team with logistical support venue, printing select materials, and bringing together workshop participants, including technical officials, city councilors, traffic engineers, and city planners/designers. ➜ Committed politically to the advancement of safe street design and can demonstrate said commitment through the adoption/application of advanced transportation policy and design guides, including but not limited to Vision Zero, Complete Streets, NACTO Urban Street Design Guide, and/or ITE’s Walkable Urban Thoroughfares Manual. ➜ Have a strong track record of collaboration across various city, regional, and state departments of planning, transportation, public works, and public health to advance 21st century street and community design principles. ➜ Relatively little experience using temporary projects to increase public engagement and streamline safe street implementation. For more information and workshop fee estimates, please email us at info@streetplans.org. 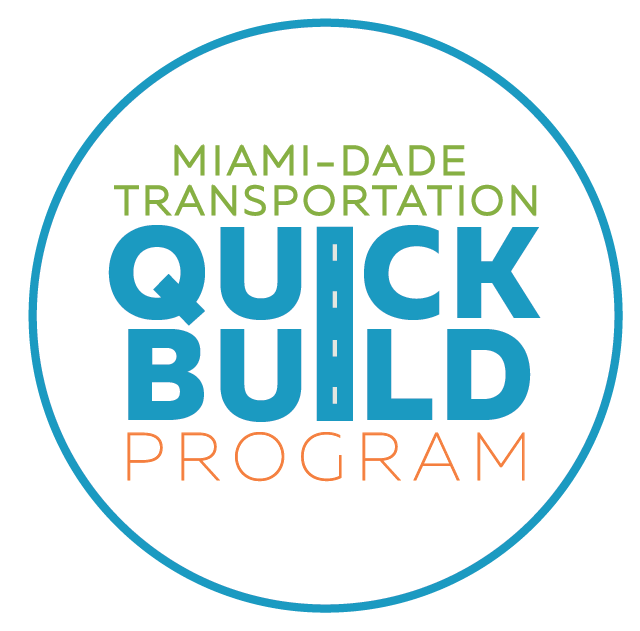 As a result of the Knight Foundation Cities Challenge Grant, Street Plans was awarded $150,000 to advance the Miami-Dade Quickbuild Program. In partnership with Miami-Dade County and Green Mobility Network, the program provides funding and technical assistance to local residents and community-based organizations who want to build low-cost, quick-build transportation and open space projects across Miami-Dade County. Additionally, Street Plans will be supporting the City of West Palm Beach with their winning Knight Cities proposal to activate 12 vacant storefronts in downtown West Palm Beach. Click HERE to see the announcement and full list of winning Knight Foundation projects. The City of Miami Beach hired Street Plans to develop a Bicycle Master Plan and Street Design Guide. 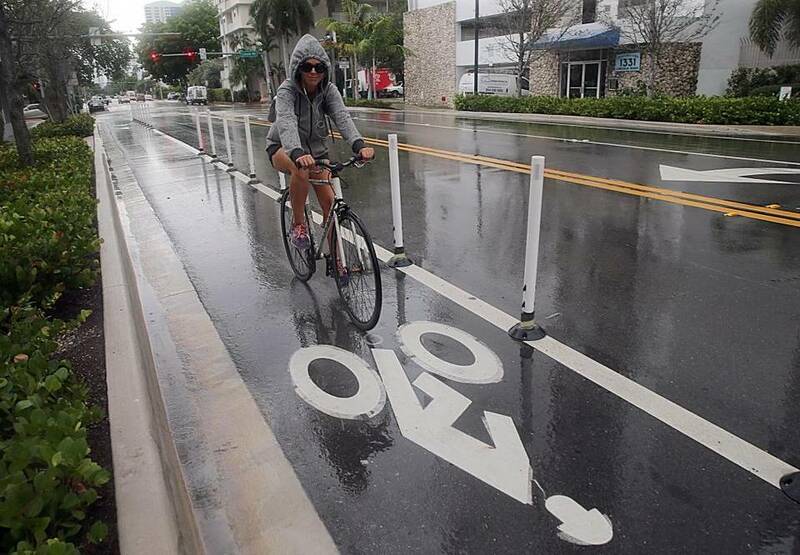 The plan was approved in 2016 and implementation is already officially underway as Miami-Dade County and the City of Miami Beach received its first protected bike lane along West Avenue in South Beach. Many more components of the plan will soon be built as Street Plans is working closely with the City of Miami Beach and the Green Mobility Network, a local nonprofit, to further design and implement priority “Quick Build” projects throughout Miami-Dade County. The full article discussing the new protected bike lanes can be found HERE. 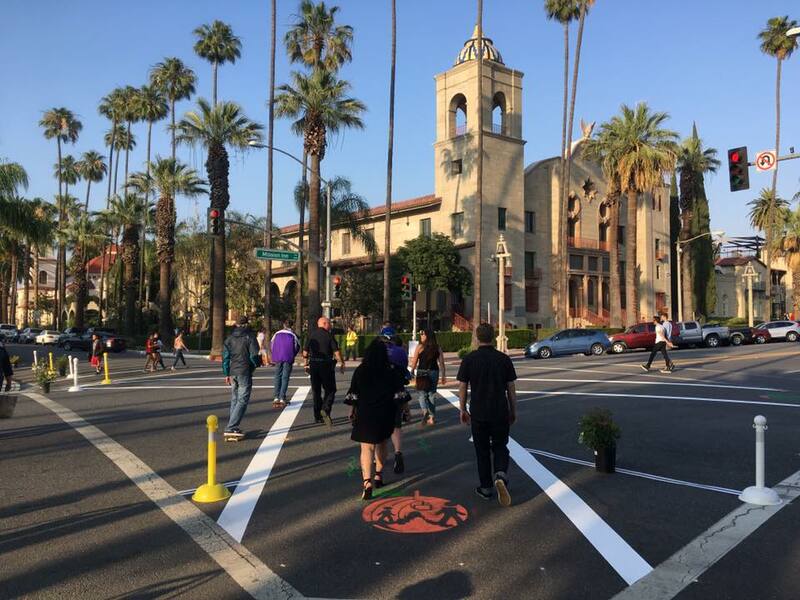 On Thursday, June 1st, Street Plans, together with Alta Planning & Design, tested diagonal four-way crosswalks, also known as a pedestrian scramble, at three different locations along Mission Inn Avenue in Riverside, CA. StreetFilms documented the project. Click HERE to view the short video. Pedestrian scramble intersections prioritize pedestrian safety by stopping all car traffic and allowing people to cross the intersection in any direction that they choose. They create shorter, more direct crossing routes for pedestrians and significantly reduce vehicle conflict with pedestrians while turning. The duration of the demonstration and pilot intersections in Riverside varied from a one-day project, to a three-week long test. If the pilot project goes well, the City of Riverside will work to make the diagonal crosswalk permanent. The Tactical Urbanism project also included curb extensions, sidewalk seating, games, art, and interactive feedback stations. The pedestrian scramble intersections are one of eight Tactical Urbanism projects as a part of the Southern California Association of Government’s (SCAG)2017 Go Human region-wide safety and encouragement campaign. 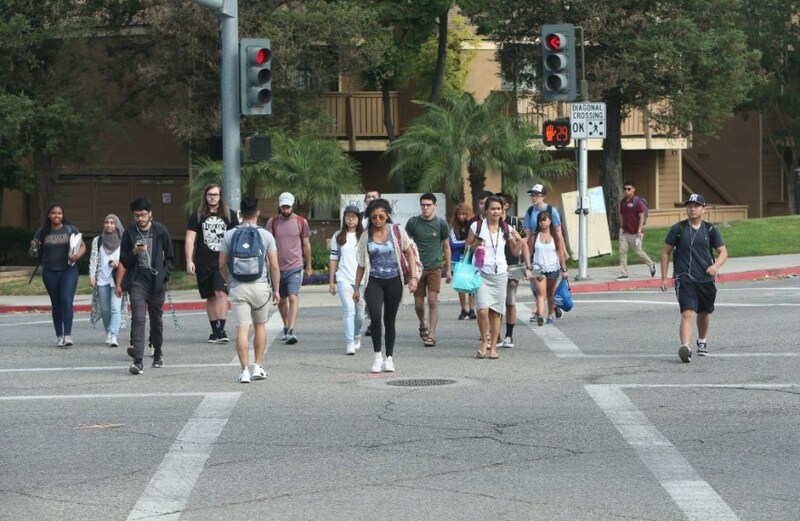 Street Plans, together with Alta Planning & Design, is testing a diagonal four-way crosswalk, also known as a pedestrian scramble, at two different locations today in Riverside, CA. The demonstration project is one of eight Tactical Urbanism projects as a part of the Southern California Association of Government’s (SCAG) 2017 Go Human region-wide safety and encouragement campaign. Click HERE for a full article describing the project.